Parent coyotes are especially edgy at this time of year — it’s pupping season. As this mother coyote foraged behind some low bushes, dog owners with their mostly leashed dogs walked by on a path about 100 feet away: they stopped and looked at her, though it might have been better if they had just walked on. None of the dogs approached her, though they might have communicated some kind of negativity through their facial expressions and body language. The coyote apparently didn’t like them looking at her, or she didn’t like their negative communication. OR, the dogs may simply have been too close for comfort. I was concentrating on her, so I couldn’t see what the issue was. Note that she begins her complaining with little grunts and heaves: it’s an emotional and distressed reaction. As she initially grunts and heaves, she hasn’t decided to go all out with her barking. But soon, she lets loose. All the dog walkers “got it” once I explained to them what was going on: that this was an edgy mother and coyotes don’t like dogs around them. The walkers and their dogs moved on, and she soon quit her howling and then retreated into the bushes. Her own mother, too, engaged in this exact same type of barking: it is a distressful bark and only occurs when these coyotes feel harassed or intruded upon by dogs. This type of barking is both a complaining — letting everyone know how she feels — and a communication of standing up for herself, though you can be sure that if a dog went after her, she would skedaddle quickly. The barking session shown here lasted only about three minutes, but I’ve listened to one that lasted well over 20 minutes. Hi Janet, yeah, my dad coyote used to bark similarly at my dog and me early on. The first few times I didn’t know how to take it and my anxiety about it made me think Dad might have been calling for help, a summons for the others. Well the others wouldn’t ever show up when he was barking like that. I thought, boy, what a cowardly group Dad watches over! Why don’t the other coyotes come? Those reactions of mine were just more thoughts derived from my own fear. I really wasn’t seeing what was in front of me. What was in front of me was a lone coyote staying put and barking at my dog and me. Hi Charles — I’ve seen other coyote family members foraging nearby when this kind of barking occurred and was amazed that they didn’t even look up to see what was going on, like, whatever she was griping about was none of their concern. Really interesting. I therefore have interpreted this anguished barking as a “venting her feelings” more than anything else. 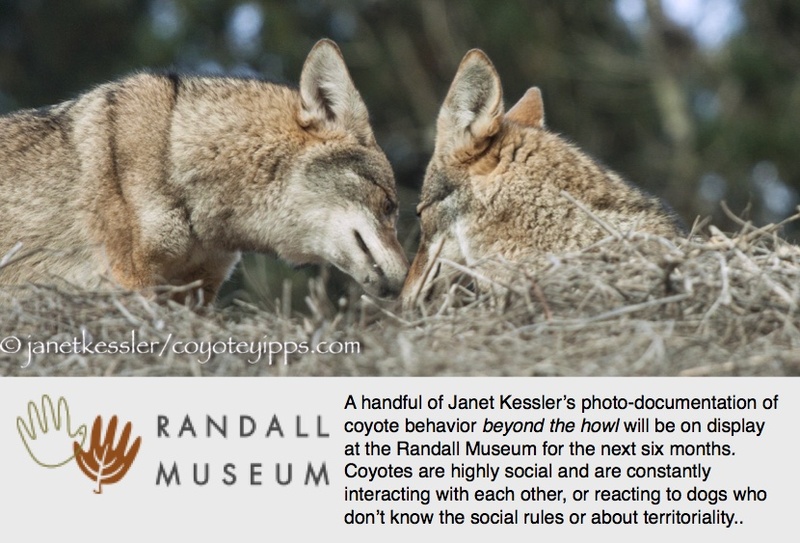 Beautiful report on what this coyote’s behavior. I love you for it.